Direct Relief remains the first and only charitable nonprofit organization in the United States to receive VAWD accreditation. The VAWD program provides assurance that the wholesale distribution facility operates legitimately, is validly licensed in good standing, and is employing security and best practices for safely distributing prescription drugs from manufacturers to pharmacies and other institutions. Applicants for VAWD accreditation undergo a criteria compliance review, licensure verification, a survey, background checks, and screening through the NABP Clearinghouse. 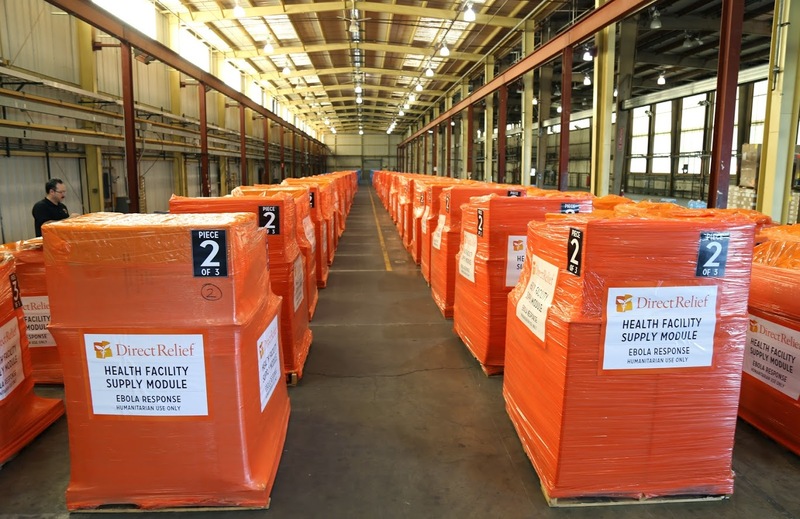 VAWD accreditation ensures that Direct Relief is operating at the nation’s highest standards for wholesale drug distribution—the same standards with which its donor companies must comply—and underscores Direct Relief’s commitment to maintaining the highest standard of care in providing humanitarian medical aid to vulnerable populations in the United States and the world at large. Direct Relief earned this accreditation in January 2009, joining several large pharmaceutical companies, including Cardinal Health, Walgreens, CVS, Teva, and Abbott Laboratories. Direct Relief is approved by the Internal Revenue Service as a 501(C)3 tax-exempt organization. 501(c)3 Determination Letter from the IRS. Direct Relief’s Federal Identification Number (FIN) is 95-1831116. Direct Relief is registered as a nonprofit public benefit corporation by the State of California (since 1948). Direct Relief holds Verified-Accredited Wholesale Distributor accreditation from the National Association of Boards of Pharmacy. Direct Relief holds all the licenses required to distribute prescription drugs in all 50 U.S. states and the District of Columbia. It has been licensed under California State Law as a wholesale pharmacy since 1962. (To view Direct Relief’s license, click here and enter Direct Relief in the Business Name field). A licensed California pharmacist oversees pharmacy operations. Direct Relief is approved by the U.S. Government and the Government of India under the provisions of the 1968 U.S-India bilateral agreement concerning humanitarian assistance. Direct Relief is registered with each U.S. State that requires formal registration. Direct Relief is fully compliant with the standards for Council for Better Business Bureaus (CBBB) Standards for Charitable Solicitations. NetHope — A unique collaboration of the world’s leading international humanitarian organizations working together to solve common problems in the developing world with Information and Communication Technology (ICT) solutions. The Partnership for Quality Medical Donations — An alliance of nongovernmental organizations and leading U.S. pharmaceutical manufacturers dedicated to the efficient and effective use of donated pharmaceutical products internationally. The Healthcare Distribution Management Association — A national trade association that enhances healthcare distribution services to customers. Santa Barbara County Voluntary Organizations Active in Disaster (SBC VOAD) — An association of non-profit and for-profit organizations that may be active during a disaster in Santa Barbara County. Southern California Voluntary Organizations Active in Disaster (SoCal VOAD) — An association of 10 county VOADs and disaster response organizations, whose member agencies serve the 24 million residents of the ten southern-most counties in the state.